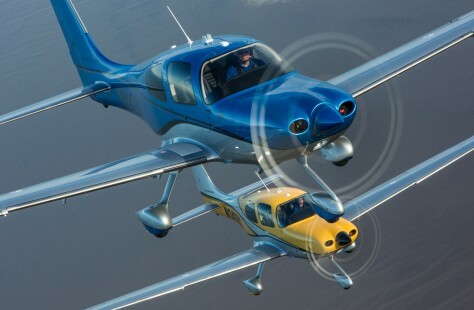 Duluth, Minn. (16 February 2016) – Cirrus Aircraft today announced enhanced connectivity, convenience, design and luxury in the new 2016 SR series aircraft, delivering an experience on par with luxury automobiles to both pilot and passengers. For 2016, all SR models are enhanced to heighten customer engagement, blending lifestyle comforts with wireless connectivity and personalization options while incorporating sophisticated new exterior designs and premium interior materials. Cirrus Aircraft is proud to produce the best-selling airplane in its segment for the thirteenth consecutive year, and for 2016 we’ve raised the bar again,” said Todd Simmons, Cirrus Aircraft President of Customer Experience. “The reason for our success is simple: We never stop listening to our owners and operators, we never stop innovating and we never cease to provide the highest quality customer experience – whether on the ground or in flight. In 2016 we continue to refine the aircraft to enhance both pilot and passenger comfort and to leave an unmistakable impression on the tarmac, connecting customers to their aircraft in new and distinctive ways. The 2016 SR series is the most sophisticated aircraft we’ve ever produced – period. Every 2016 Cirrus is delivered with a new Bluetooth® audio panel that allows for phone calls and music to be wirelessly connected and directed to any occupant in the cabin. Additionally, Cirrus is the first piston aircraft to incorporate Garmin Flight Stream in the cockpit, enabling wireless connectivity between mobile devices and the Cirrus Perspective® by Garmin® avionics flight deck as part of the new Digital Advantage Package. Pilots can now flight plan at home or at work, transfer flight plans to and from the avionics seamlessly, easily change route mid-flight, display a new and wide array of flight information including pitch, bank and GPS data, plus control the SiriusXM® radio – all via a mobile device. For 2016, new aesthetics and convenience features amplify dedication to design. New pilot and co-pilot seats come equipped with a stow pocket for mobile devices to enable easy use during flight and new magnetic clasp side straps both secure headsets when not in use and reduce clutter in the cockpit. A thoughtful new overall seat design keeps pilots and passengers more comfortable on longer flights. Premium European leather, on par with the finest luxury automobiles, completes the look and feel of the interior. New 2016 exteriors incorporate stunning and vibrant colors and designs. Cirrus partnered exclusively with Sherwin-Williams to expand exterior paint options and colors, offering three premium design collections: Carbon, Platinum and the new Rhodium option. Each aesthetic design suite caters to a different style, whether the colors sought by the customer are bright and bold like Solar Yellow or subtle and sophisticated like Sedona Red. The ability to offer a wider selection of rich and striking colors has opened the door for an array of aircraft design options, available for customers to experiment with through Cirrus’ newly-added website color configurator. Taken altogether, these new options set the stage for those discerning customers who choose to pursue even more individualization through Cirrus Aircraft’s exclusive Xi® personalization program – making their aircraft one of one. A highlight of the 2016 SR line, a remote keyless entry system allows customers to easily lock and unlock both pilot and passenger doors. To accommodate for low-light situations, exterior convenience lighting illuminating both the steps and cabin were added, making for safer pre-flight and aircraft entry. A baggage compartment light was also added, activated simply by opening the baggage door. For 2016, Cirrus Aircraft again leads the way in general aviation by bringing even more luxury and convenience features to the world’s best selling high-performance piston aircraft.